BETHESDA, Md. & NEW YORK--(BUSINESS WIRE)--As part of an initiative to develop next-generation advanced materials and manufacturing processes, Lockheed Martin and Arconic, a global technology, engineering and advanced manufacturing leader, today announced a two-year Joint Development Agreement (JDA). 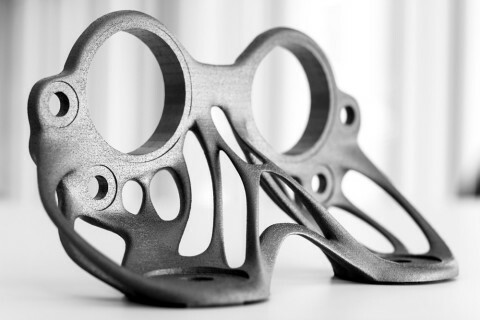 Together, the companies will develop customized lightweight material systems and advanced manufacturing processes, such as metal 3D printing, to advance current and next-generation aerospace and defense solutions—including new structures and systems not currently in existence. This agreement expands the longstanding relationship between Arconic and Lockheed Martin. The companies currently collaborate on advanced materials and manufacturing projects such as the development of process modeling, simulation tools and lightweight, corrosion resistant alloys. Arconic also supplies Lockheed Martin with a broad portfolio of innovative, multi-material products for the F-35 Joint Strike Fighter aircraft program—from engine to airframe structures—as well as 3D printed metal parts for service on NASA’s Orion spacecraft. Arconic provides a range of high performance multi-materials and products for virtually every aero engine and airframe platform. The company’s solutions range from the world’s largest fuselage panels and wing skins, to 1/16-inch-diameter fasteners that hold an aircraft together. Arconic is a leader in additive manufacturing technologies for aerospace. Lockheed Martin’s newly released 2017 Corporate Sustainability Report details how innovative manufacturing techniques – like industrial 3D printing – can allow for greater resource efficiency, less materials used and potentially lower greenhouse gas emissions over the full life cycle of a part.